The sets for Prospect were all built in an old boat building warehouse in Seattle, which then became the sound-stage for production. The majority of them were digitally designed and cut with our 4x8 CNC machine out of flatpack materials before being quickly assembled. 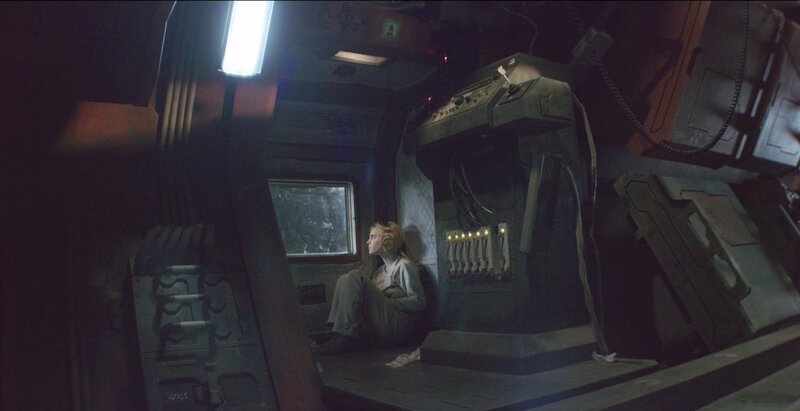 Cee and Damon’s tattered rental drop-pod was the hero set for the film. A 4ft miniature of Cee and Damon’s drop-pod was created for exterior shots. The largest interior set, though only briefly used, was the opening scene of the film. As the first point of contact, it was important in establishing and selling this fictional universe. The life-size mercenary spaceship was constructed to the maximum height our warehouse would allow, then transported to location. The cabin needed to be built on location and the winter construction created some unique weather challenges, but was necessary to accommodate the shooting schedule of the film. The cabin also featured a complete interior so it could function as both an exterior and interior set.